The residual material from burning coal, known as coal ash, is one of the largest waste streams produced in the U.S. There are two different types of coal ash: fly ash and bottom ash. Fly ash is a very fine particulate material and bottom ash is a coarser material found in the bottom of coal fired boilers. Both can be recycled and reused in different ways. The EPA considered both unencapsulated and encapsulated practices to be beneficial: “The beneficial use of coal ash is the reuse of coal ash in a product to replace virgin raw materials removed from the earth, thus conserving natural resources.” However, there is some controversy around unencapsulated practices because they do not bind the heavy metals found in coal ash. Recycling practices that do not fully encapsulate the coal ash include using it as an agricultural soil additive or cinders for snowy roads or as fill in abandoned mines or structural embankments. These practices each have downsides and dangerous consequences for the environment and human health. Using coal ash as a soil additive involves mixing the coal ash directly with soil that food crops are grown in. This is less than .02 % of all coal ash produced. Although the soil additive leads to higher crop yields, this is a very controversial practice because crops can uptake the heavy metals in coal ash and accumulate them. To date, there has been no evidence of health problems as long as the coal ash to soil ratio stays low. Bottom ash is directly put on roads to help melt snow. This allows heavy metals in the coal ash to runoff into nearby waterways. Chromium, a heavy metal found in coal ash and a carcinogen becomes more dangerous when wet. Some scientists feel this is a safe practice because heavy metals are naturally found in soil, however, others are concerned because the quantity of the heavy metals found in the coal ash are significantly higher. Using coal fly ash as structural fill or highway embankments can be useful and replaces using soil for the job. It is important when doing this to make sure it is high enough from the water table and that drainage does not seep down. Some view using ash as a structural fill is really a dumpsite in disguise. Filling abandoned mines is an example of a dumpsite structural fill and can put the ash in direct contact with the water table. Encapsulated practices fully encapsulate the coal ash so that the heavy metals can no longer leak into the environment in any way. Using practices that fully encapsulate the coal ash is the most beneficial use for the environment. It helps reduce mining and digging for unused resources and also creates less landfill waste. Using fly ash in concrete is a safe recycling process because it fully encapsulates the coal, preventing it from leaking into the environment and polluting water. 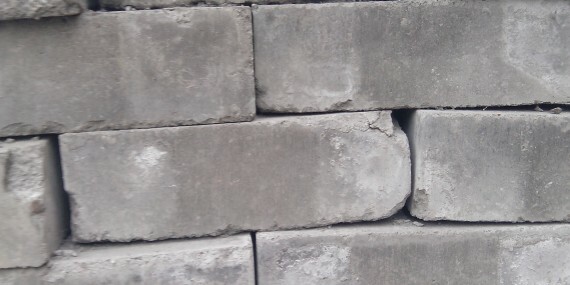 The fly ash replaces Portland cement, which is made from limestone, which can save resources and also make the concrete cheaper as most portland cement is imported. The fly ash can also strengthen the concrete and make it less permeable. One downside is that the ash must be a certain quality. A majority of the fly ash that is produced fits these requirements. A building material made primarily made up of coal ash with a small resin coating. It is a lightweight material that can be used for ships, buildings, submarines, mass-transit systems, and more. It is non-toxic, fire resistant, and is easily moldable. The demand for rare earth metals is rising as the demand for technologies using them is rising, for example wind turbines and batteries used for renewable energy storage. Coal ash is a potential resource for metals and rare earth metals. The extraction of metals from coal ash is growing but could be utilized more. The available coal ash could supply all of the U.S. demand for rare earth elements. Coal ash can be used in school running tracks, material for drywall or roofing, as well as the core material for bowling balls.